Allow Yourself To Be Swept Away By The Grand Harmony! Our broad range of songs will suit any occasion. Performances will use songs from our current repertoire. We are available to perform at your special event - from a convention to family gatherings for birthdays, anniversaries, reunions. We will tailor the performance to your needs. 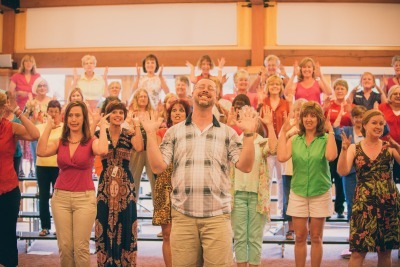 Performance options include a full chorus, mini-chorus, octet, or quartet. Care To Join In The Fun? Do You Miss Show or College Choir? Do You Crave More Music In Your Life? Are You Able to Sing and Do Light Choreography? Do You Enjoy Competition, Performances & Putting on Theatrical Productions? Auditions are coming up!